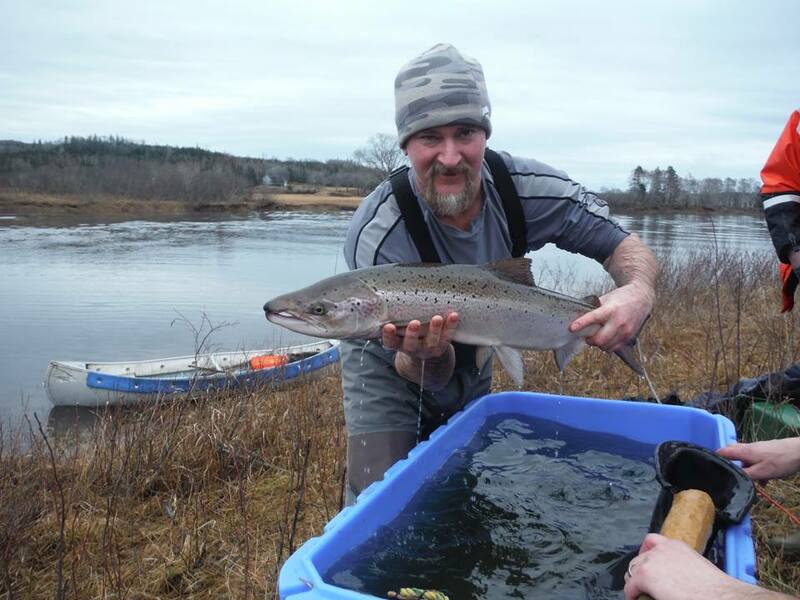 Our vision is "Health for the St. Marys River, the Atlantic salmon & our community". Well, joining SMRA helps us restore, conserve and protect the St. Mary's River ecosystem, Nova Scotia's largest watershed (five counties). ​Plus, we have fun doing it! Be elected to the Board of Directors and participate in SMRA governance. Many who have done so appear in our SMRA Alumni photo album. Participate in our new online presence such as surveys, polls & forums. Get a deal! SMRA membership dues and donations are CRA income tax deductible, Canadian Registered Charity 891450975 RR 0001. Above we see members at work on the St. Mary's River. Top photo shows Scott Beaver putting a salmon kelt into a holding tank. 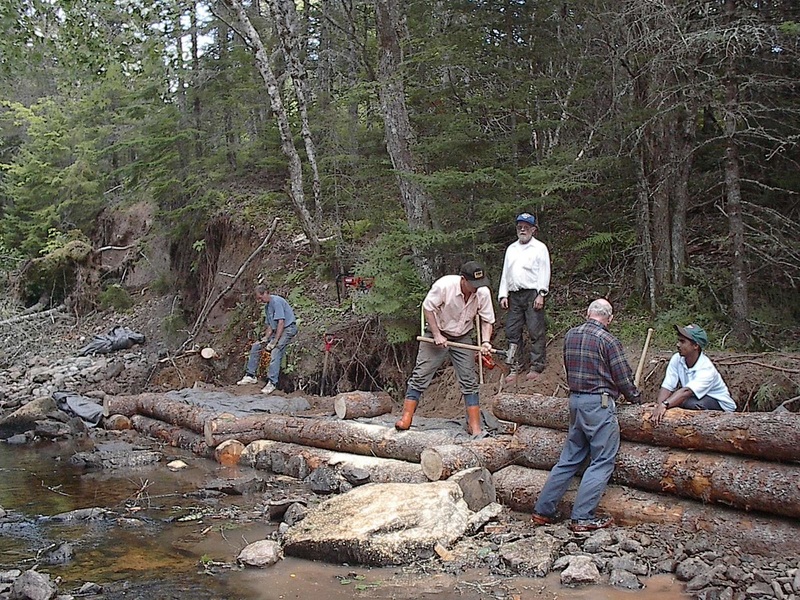 Middle photo shows members stabilizing a tributary's seriously eroding bank (Barren Brook). Botttom photo shows members tending a smolt wheel at Silver's Pool. 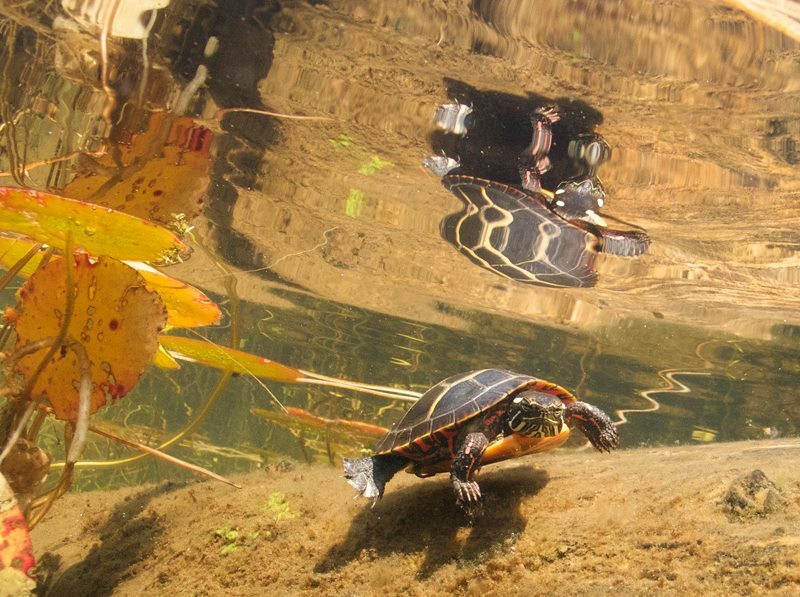 ​At left we see a very curious St. Mary's River resident, a painted turtle. ​Photograph by Gilbert van Ryckevorsel.